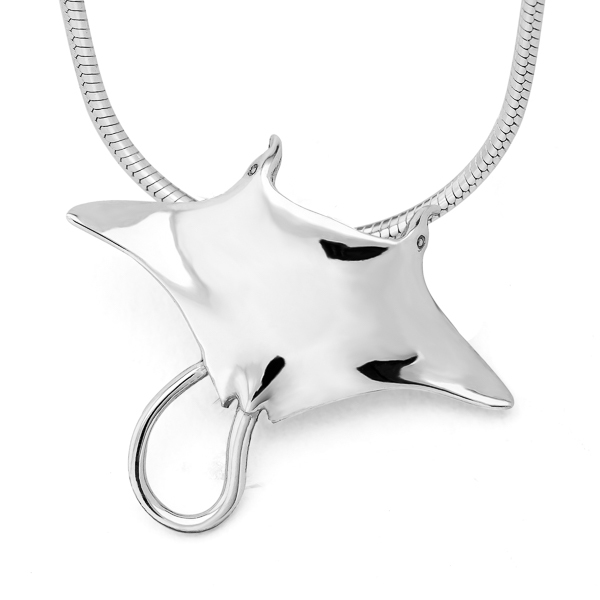 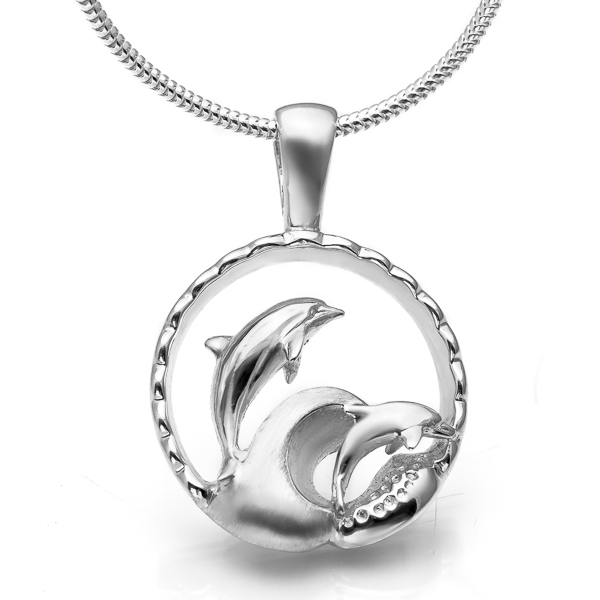 This dolphin necklace features mother and calf dolphins jumping playfully through the surf together. 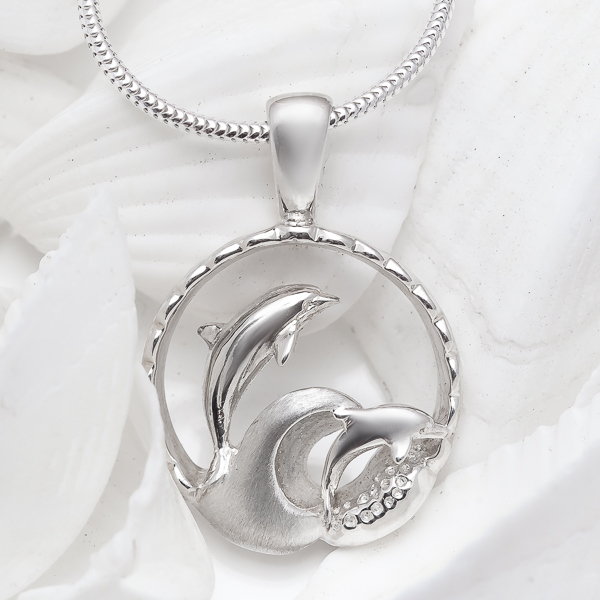 At home amongst the cresting waves these dolphins are wild and free, just as they should be. 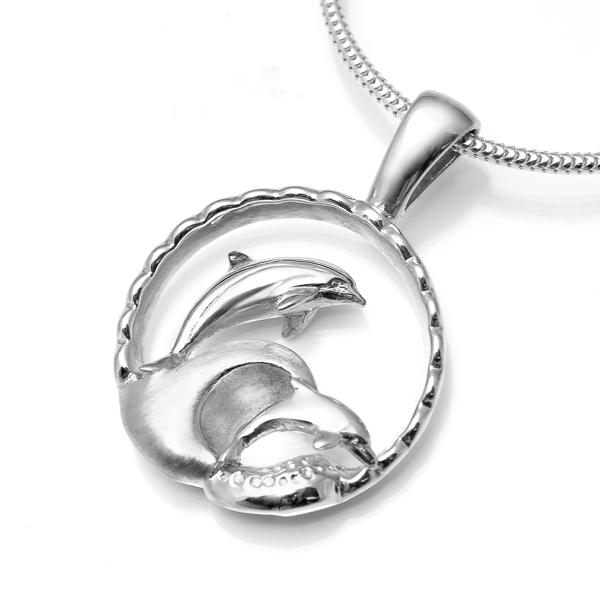 A combination of glossy and matte textures really sets this piece off.